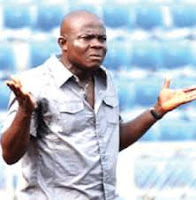 Sharks head coach, Gbenga Ogunbote is so sure the club will not be relegated at the end of the current Nigeria Professional Football League season. Ogunbote joined Sharks after the week 6 game against Dolphins at the Sharks FC Stadium and has been only able to get three points on the road in three draws but he told naijafootball247.com that he is still very optimistic things will change. “Relegation is not our portion and we are working hard to see that we climb out of the danger zone. “We have been able to get three points away from home but unfortunately that has not changed our position on the table,” Ogunbote said. Sharks host Gombe United in Port Harcourt on Sunday in a must win game at the Sharks FC Stadium.